If you've been following me around for any length of time, you probably know by now that I'm not a huge maker of crocheted garments. I don't really know why--but I'm always drawn to home-decor with color and whimsy. Maybe it's because wearing clothing with too much color and whimsy is over-the-top. Maye it's because I like to look at the color--but don't find myself looking it the mirrow so often so I would rather have it visible on the sofa or wall. Occasionally, I make accessories like mittens or a scarf to jazz up an otherwise drab outfit with a pop of color, but I'm not inclined to much else in the wearables arena. But today, I'm stopping in to show you a sweater I made--or what's known as a jumper in many parts of the world. It all began when I happened upon the talented designer Jenny King. I met her at a CGOA conference a couple of years ago and took her Rectangular Spectacular class which was a fascinating method of making really interesting clothing with combinations of simple squares and rectangles. It was eye-opening! So, when I heard the rumblings at the conference about her Get Squared method, I was intrigued. 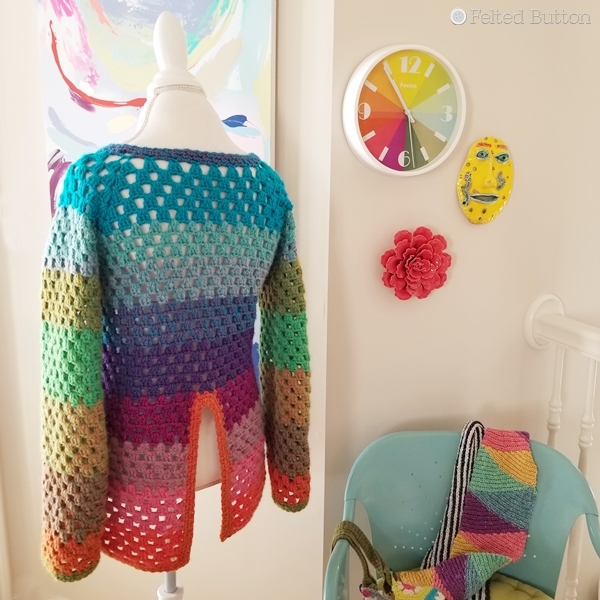 She provides a simple stitch pattern (granny square) and some basic recipes to make 5 different garment styles. By taking some very simple measurements, you can then use her recipe to create a custom garment that fits perfectly--and if you are daring, add your own modifications to suit your individual style. Let me tell you a bit about my experience with the process. 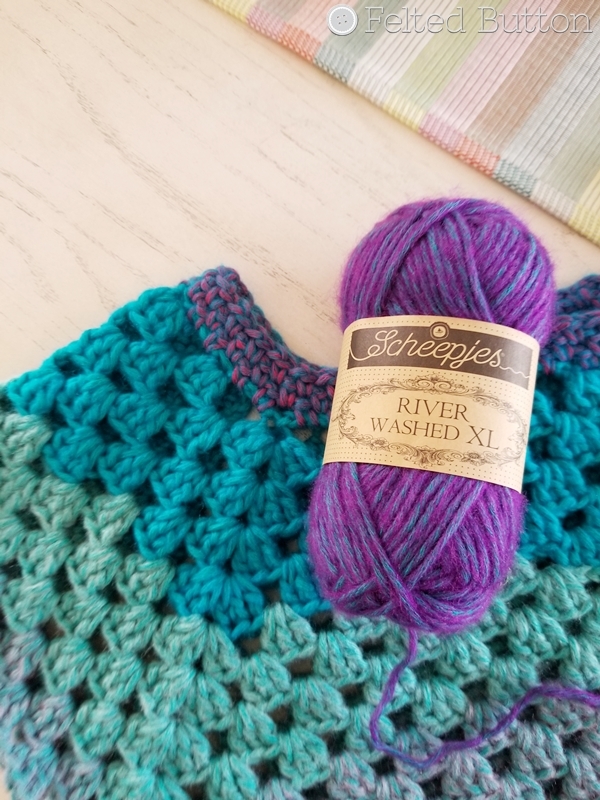 It started with some Scheepjes Riverwashed XL* that I had--one ball of each available color. So since I'm the crazy color lady that MUST.HAVE.ALL.COLORS. in her designs, I realized that I had just the right amount of yarn for the project and would use them all. Why not? I decided that I wanted a very organic, boho kind of look. 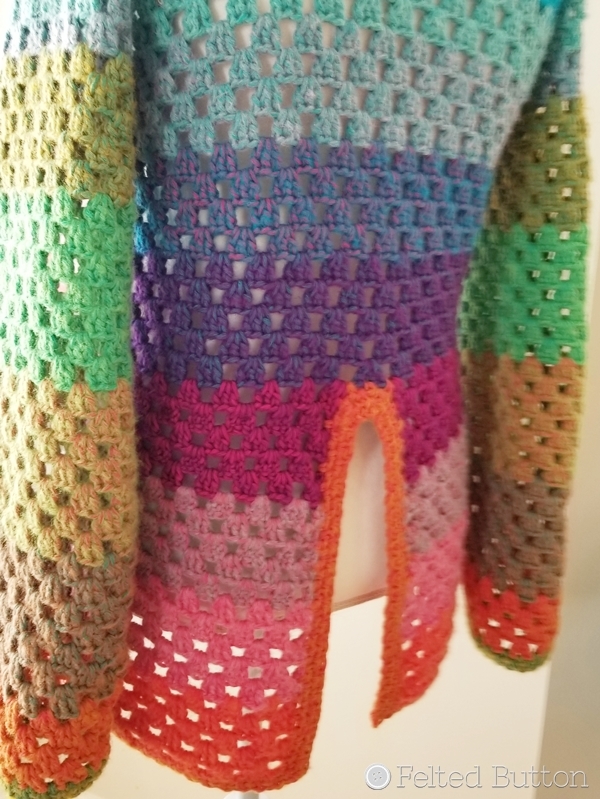 So, I began with a color, continued down the sweater until I ran out and then joined another, not worrying if it ended in the middle of a round. On around and around--it was easy peasy--the kind of project you can do while watching Netflix. Honestly, I think I'll wear it both ways, depending on my mood. I did add a couple rounds of shaping along the length of the sleeves, and worked the bottom edging around the slit, too. 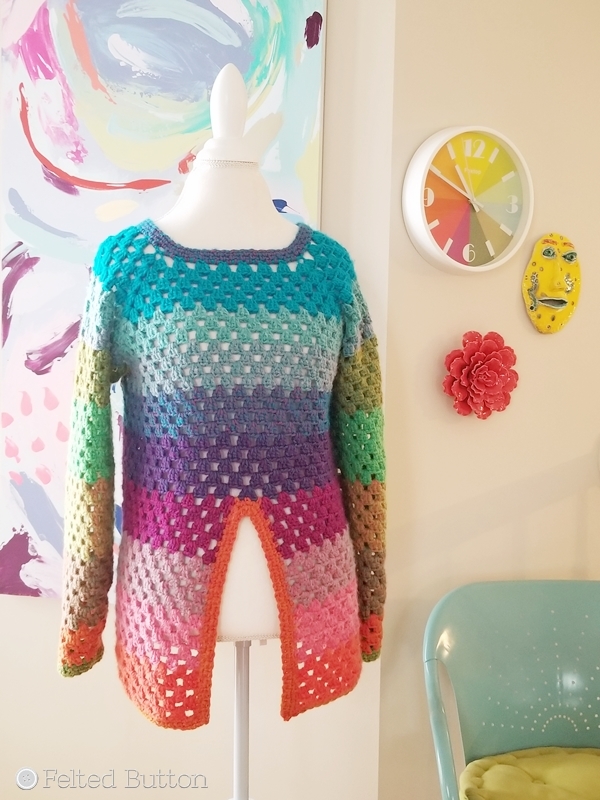 All in all, it's a funky and fun sweater, definitely worth a few hours of my time. 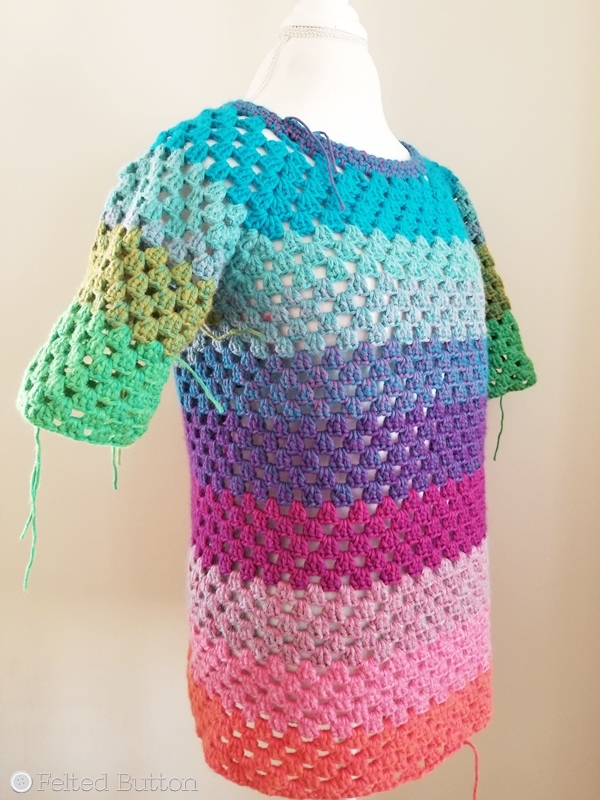 And a confidence builder if you've not tackled a lot of garments in your crochet game. I'm loving the Scheepjes Riverwashed XL (worsted/aran). 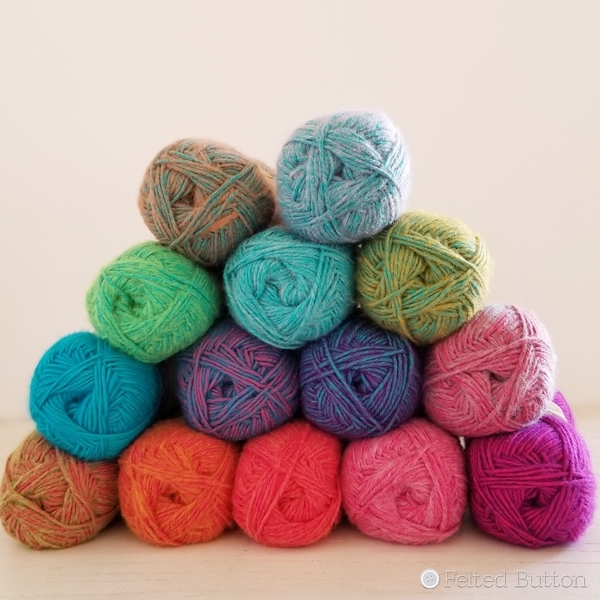 It's a 78% Cotton, 22% Acrylic blend that has a lovely colored central core that differs from the "fluff" color. This is what gives the yarn it's uniquely colored appearance. Did I say that it's heaven on your hook and hands? I also have a lot of regular Riverwashed (DK) for which I've loosely designed something. I'll be pairing it with a contrasting solid (black or white, I haven't decided yet) and can't wait to really get started. I'll share with you when things have developed a bit more. 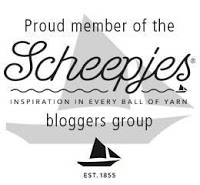 Or find your local Scheepjes stockists here. If you would like to give the Jenny King Get Squared a try, you can purchase the program right off her website here by just creating an account and then have access to it indefinitely. She has also just recently added Kids Squared--garments designed specifically for little ones. 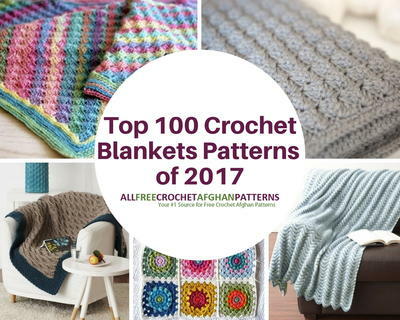 An exciting little announcement: I was selected by AllFreeCrochetAfghanPatterns.com as one of their Top 100 Bloggers. It's seriously so satisfying to know that folks enjoy my patterns. My Spring into Summer Blanket is pictured below in the upper left. 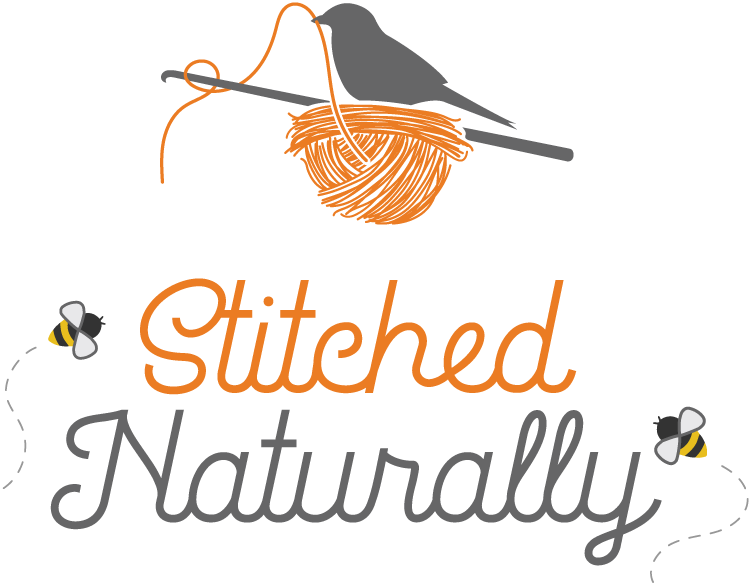 You can read more here about the other amazing bloggers and see their projects. I hope your life is peaceful and purposeful and full of good people. | On the Board | -- Nothing can dim the light that shines from within. *This post contains affiliate links that if used by you cost you no more but provide me a small commission that allows me to continue providing free patterns. Thanks!